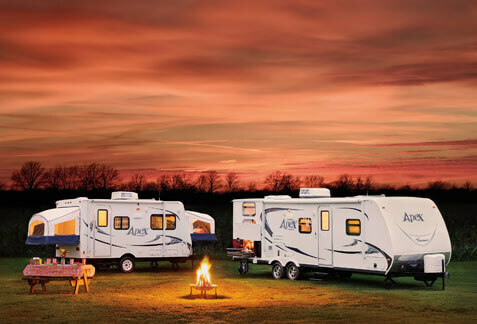 Coachmen RV has been a part of the RV industry since 1964. In fact, many of our current customer probably remember seeing the brand driving down U.S. highways in their childhood. The first Coachmen RV products were manufactured in a 5,000 square foot plant in downtown Middlebury, Indiana under the name Coachmen Industries. The company was founded by three brothers: Tom, Keith and Claude Corson. The company truly has come a long way since it’s inception as Coachmen's first year of production included only 12 travel trailers, a single truck camper and 80 truck caps. Needless to say, the years to follow were much better, as Coachmen has rolled more than 600,000 RV’s out since that first year. Coachmen went public in 1972 and was approved for trading on the NYSE six years later. Coachmen later would join the prestigious Fortune 500 ranks, and become a Forest River Inc. Brand (A division of Berkshire Hathaway).